Are you looking for a new or used Chevy Camaro in the Stillwater, Enid, Guthrie area? Come see what we have at Vance Chevy Buick GMC in Perry, Oklahoma. We are within a short 30 minute drive of all these towns and we know how to treat you like our neighbors. 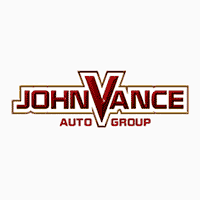 Vance Auto Group has been dedicated to helping Oklahomans find the perfect vehicle for over thirty years. It’s true that Vance has nine full service dealerships to serve you. That means a whole lot of preowned vehicles available to choose from. If you are in the market for a new or preowned Camaro, come see why we have such high customer ratings at Vance Chevy Buick GMC in Perry, OK. There is nothing like the thrill of driving a sports car like the legendary Chevy Camaro. The redesigned 2019 Camaro offers the biggest thrill of all. Whether you want to make a statement or leave everyone speechless, the Camaro offers amazing performance, looks and technology. With four models available from the Camaro LS to the track ready ZL1, we have an entire line up of eye-catching looks with capabilities you won’t believe. Take your pick of a coupe or convertible for an exhilarating ride. Not only does the Camaro deliver power and performance but it is stocked with technology to keep you in touch on the go. And we do mean GO! Your calls, texts, music and more are all at your fingertips with phone connectivity through the Chevy Infotainment System. Stay connected through Navigation, Apple Car Play, Android Auto, and the available built-in 4G LTE Wi-Fi connection for up to seven devices means the Internet comes along for the ride, almost anywhere you go. An ultra-high-strength steel safety cage, StabiliTrak® Electronic Stability Control and a number of available active safety technologies, Camaro makes road safety a top priority. Check out the rear View Camera, Forward Collision Alert, Park Assist, Lane Change, Blind Spot Alerts, and rear Cross traffic alerts. Camaro is designed to keep you safe as you take charge of the road. Come discover more about the Chevy Camaro as you visit us in Perry, OK. Find out how we’ve kept in such high standings for the past 30 years and most of all, experience what true Oklahoma neighborliness is as you search for your perfect vehicle.